Voting is now open for the RYA and Yachts & Yachting Club of the Year Award 2019, supported by Gallagher. The annual award recognises the outstanding achievement of sailing clubs across the UK, promoting the hard work and dedication that goes into running a successful club. The RYA Awards panel have selected 11 finalists, one for each of the RYA Regions, Scotland and Northern Ireland, as well as two 'wild cards' – selected in regions where the panel identified two particularly strong clubs. Ballyholme Yacht Club – "Boosting Membership"
Dell Quay Sailing Club - "Innovation and Forward Thinking"
Otley Sailing Club – "Inclusive and Open to All"
Royal Torbay Yacht Club – "Fantastic Facilities"
South Staffordshire Sailing Club – "Embracing Modern Communications"
The junior section of The Royal Corinthian Yacht Club, the 'Corinthian Otters' were awarded a Certificate of Commendation for their vibrant and inclusive presence within the club. 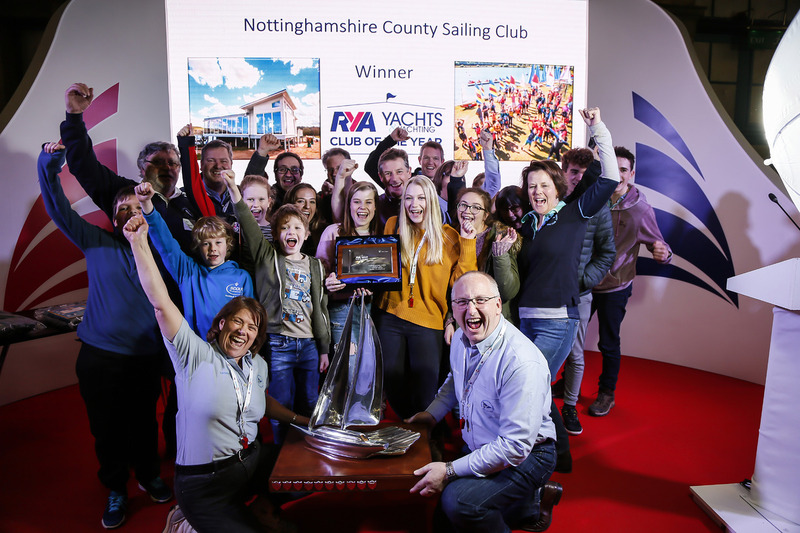 For the second consecutive year, the public now have the chance to vote for the sailing club they think deserves to be named Club of the Year 2019. RYA Programmes Manager, Michelle Gent said: "We're delighted to announce the 2019 finalists of the RYA and Yachts & Yachting Club of the Year Award supported by Gallagher. It's a privilege to be able to reward clubs and their volunteers for all their hard work and it has been truly inspirational to hear about all the exciting initiatives taking place in our clubs. "I am really look forward to meeting all of the finalists at the RYA Dinghy Show and would encourage the public to get voting." Georgie Corlett-Pitt, Editor of Yachts & Yachting added: "We are very pleased to have, once again, received such a high calibre of entries. The nominations allow us an insight into some exceptional initiatives underpinning the grassroots of our sport and we look forward to recognising and rewarding the overall winners. "It's certainly a tough competition, but now it's over to the public to decide." Awards will be presented and the overall winner announced at the RYA Dinghy Show on Saturday 02 March. To find out more about the finalists and to cast your vote visit the online voting page. For more information about Club of the Year visitwww.rya.org.uk/go/cluboftheyear. Voting closes on Monday 28 January.